FWIW, I'm running a Dell Inspiron 660 desktop with Windows10 Home version. Try using an alternate browser. I keep Firefox and Chrome on all my computers. Sometimes one browser may hold on to its cache longer than another. 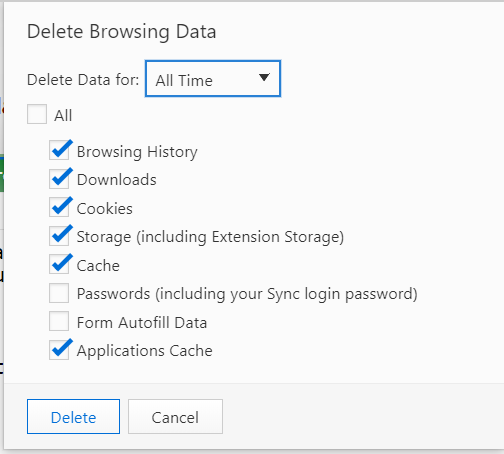 I use a licensed version of CCleaner to delete browser cache for Chrome, Firefox and Edge. This happens as soon as the browser is closed. Reopening the browsers forces them to download all content afresh. Most browsers have a privacy settings area in their options. One of those settings is to delete the cache when the browser is closed. You can do more than clear your browser. You can input different DNS Servers into your router. I am currently using Google's DNS Servers: 8.8.4.4 and Cloudflare's 1.1.1.1. Previously, I was using OpenDns servers: 208.67.220.220 and 208.67.222.222. Varies how it's done on various browsers. The screenshot above is from my main browser these days: Vivaldi. You may or may not have your websites on Cloudflare, but your ISP could be caching your regularly requested pages. That's one reason to change the DNS servers that your router is using; to anywhere but your own ISP.